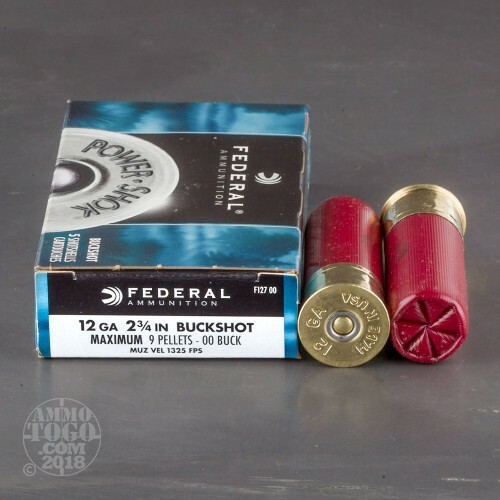 If you need bulk buckshot, this 250 round case from Federal is the right choice for you. 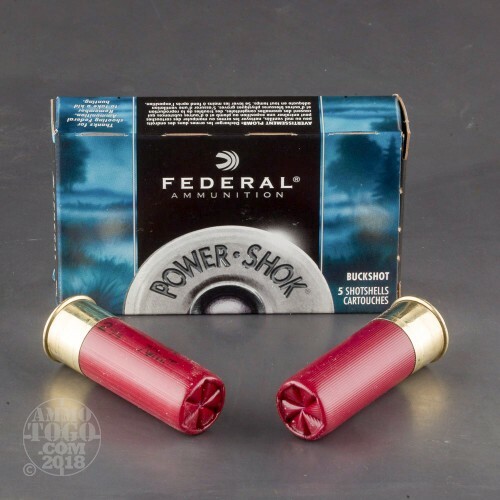 These Federal Power Shok shells are 2-3/4" with 9 Pellets of 00 buck shot that leave the barrel at 1,325 feet per second. Each hull features a triple plus wad that helps align the shot and a granulated buffer. The results are tighter and more consistent patterns down range. 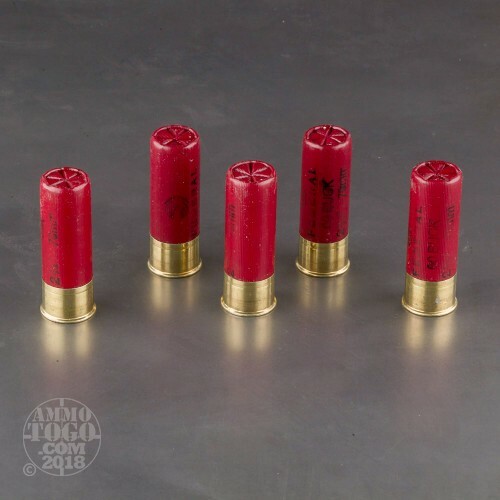 These shells are a great choice for deer hunting where buck shot is permitted. 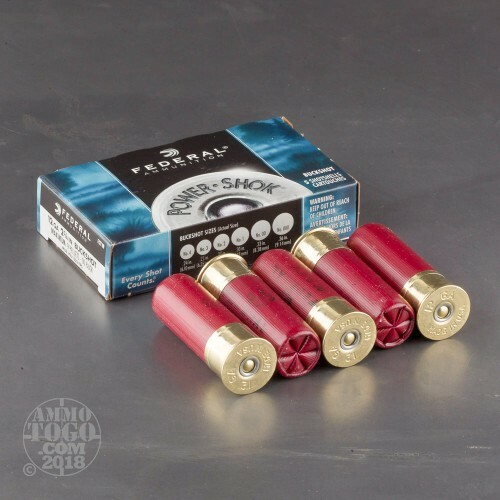 This ammo is decent i shot some rounds thru my mossburg M590A1 shotgun with a 20"barrel @25 yards it did okay for the money not bad but not the best!